Arrow and Synnex emerge as likely candidates as distribution prepares for next round of consolidation. 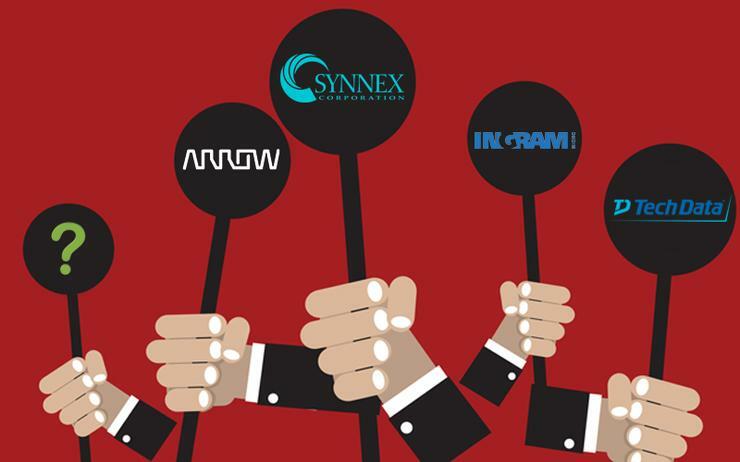 With the future ownership of Westcon-Comstor under question, industry rivals Arrow Electronics and Synnex have emerged as likely buyers for the up for sale distributor. The news comes a matter of days after parent company, Datatec, revealed plans to potentially sell a majority stake in the company for US$800 million, creating channel speculation as to the identity of the likely acquirer. As reported by ARN, the sale is subject to contract and exclusivity provisions, and follows disappointing global financial results alongside a flawed SAP rollout across Europe, the Middle East and Africa (EMEA). A pending sale of Westcon-Comstor comes at a time when the industry is struggling to make a clear distinction between hard facts and channel fiction. Starting off a month of M&A madness was news that Microsoft was deep in talks to acquire Citrix, followed by speculation that Oracle was lining up a bid for Accenture, finishing with talk of a potential Hewlett Packard Enterprise acquisition of Veeam. Despite strong sources and credible third-party reports however, Citrix remains unsold, while Oracle was quick to pour cold water on any acquisition activity with HPE simply refusing to confirm or deny. Yet this deal appears different. Why? Because it’s clear that Westcon-Comstor is up for sale. There’s no chit chat or reading between the lines, rather a concise and clear statement made by the parent company and majority stakeholder that a price tag has been created and a deal is in the works. “The update to the cautionary relates to the possible sale of a major share of Westcon-Comstor’s operations for a consideration (current and deferred) of more than US$800 million,” a cautionary statement by Datatec read. But with a deal seemingly on the table, who is most likely to buy Westcon-Comstor? Amidst the rising levels of speculation across the channel, industry analysts point to Synnex as the most suitable buyer of the value-added distributor. Headquartered in Fremont, California, the multi-national organisation currently operates across 26 countries, distributing more than 30,000 technology products to over 20,000 resellers and retail customers. Purchasing Westcon-Comstor would fill two gaps for Synnex, providing the distributor with access to the lucrative Cisco portfolio, alongside a much needed presence in Europe. In representing 44 per cent (US$2.16 billion) of global Westcon sales from its Cisco exclusive Comstor business - launched locally in 2015 - adding Cisco to its portfolio would help Synnex significantly close a widening market gap in North America, joining Ingram Micro and Tech Data as major distributors of the networking vendor. Likewise, Synnex currently has no footprint in Europe and would instantly receive US$1.62 billion worth of Westcon-Comstor business in the region, reflective of 33 per cent of the distributor’s overall sales revenue. Yet Synnex would also inherit a botched SAP rollout, cited as a key reason for lagging sales in the region. Fresh from announcing plans to bolster its security capabilities globally, purchasing Westcon-Comstor would provide Arrow Electronics with deeper access to market-leading vendors such as Symantec, Palo Alto Networks, Check Point, F5 and Cisco. Representing US$1 billion in global revenue (34 per cent), Westcon-Comstor’s security practice currently provides reseller tools and support, with security expertise across perimeter, data and application, mobility, WAN acceleration and optimisation, alongside compliance management and cloud. In addition, an Arrow acquisition of the distributor would provide significant geographical benefits, including a wider presence across Asia Pacific. Complementing the recent acquisition of Distribution Central in May 2016, a deal would add to the distributor’s increased presence in Australia and New Zealand, while helping to mitigate the rising threat of Tech Data in the region following its acquisition of Avnet in February 2017. Meanwhile, Ingram Micro should not be discounted from acquisition talks, simply because of the distributor’s size, scale and cash reserves. Now under the control of HNA Group - following the completion of the Chinese conglomerate’s $US6 billion acquisition of the US-based company in December 2016 - the market leading player has the deep pockets to make a US$800 million deal work. Money aside however, an acquisition would also boost Ingram Micro’s presence across Westcon-Comstor’s 70+ countries, spanning 26 logistics and stocking facilities across six continents. Despite being labelled as the least likely to make an offer, following the recent closing of its acquisition of Avnet, Tech Data should not be discounted as an interested party. Why? Because a deal would significantly increased profitability and shareholder value for the Florida-based organisation, further complementing its plans to become a serious global player in the market. In theory however, Westcon-Comstor’s net debt of $249 million is most likely to take Tech Data out of the running. With the most likely candidates outlined, an Ingram Micro style acquisition could also be on the cards, from an unconventional non-technology buyer such as HNA Group. In short, the Westcon-Comstor business represents an attractive purchase for all of the major global distributors, given the company's strong Cisco expertise, its worldwide reach and extensive line-up of vendors. But with Datatec still keeping its cards close to its chest, the channel will have to wait and wonder as to its future owner.